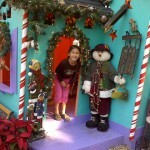 Festive Fun at Merry Farm, Knott’s Berry Farm’s Christmas Celebration! 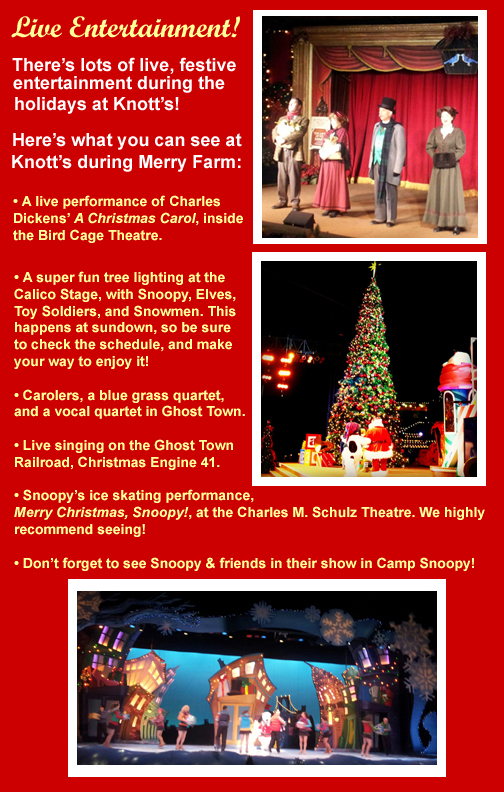 We’re really excited to once again experience, Knott’s Berry Farm’s Christmas Celebration! 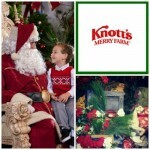 We’ve been invited to visit Knott’s the 1st day of their annual event, Merry Farm. 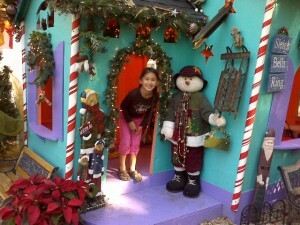 Knott’s really gets into the holiday spirit, not only in the Park, but also at their California Marketplace. 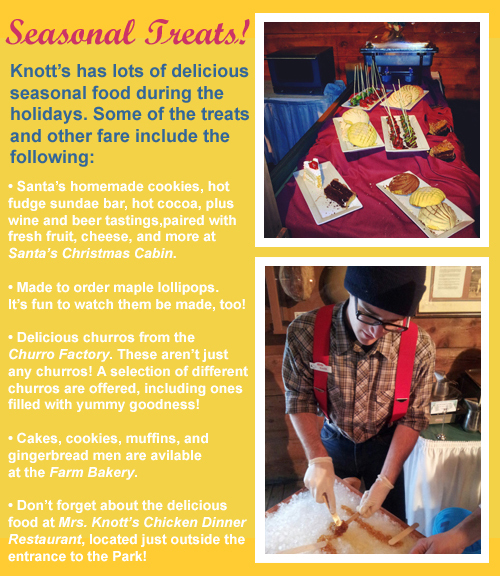 Some of the highlights of Christmastime at Knott’s includes seasonal entertainment and food, incredible festive decor, and the opportunity to shop for unique, one of a kind gifts. 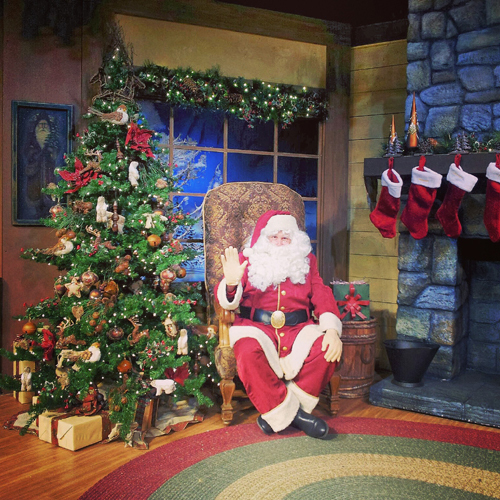 Our personal favorite things to do at Knott’s Berry Farm’s Christmas Celebration is visit with Santa in his Christmas Cabin, ride the festive steam train, and roam the Park while enjoying the festive decor. 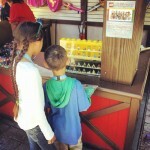 Of course, our kids LOVE visiting Camp Snoopy! The Marketplace, which is located just outside the main gates to Knott’s, has some really neat gift shops that go all out with their holiday decor. 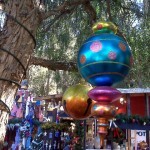 Inside Knott’s, at the Christmas Crafts Village, are local artisans selling their original work. 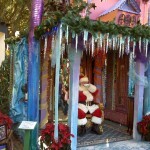 You can visit the Christmas Crafts Village for free Monday-Thursday, and is included with daily Park admission. Of course, a Knott’s Berry Farm 2015 Annual Pass could be the perfect holiday gift for loved ones (or yourself) as well! Some of their annual passes now even include in-park dining, which could be of substantial savings if you eat at the Park often. Passes can be purchased online or at the Park. 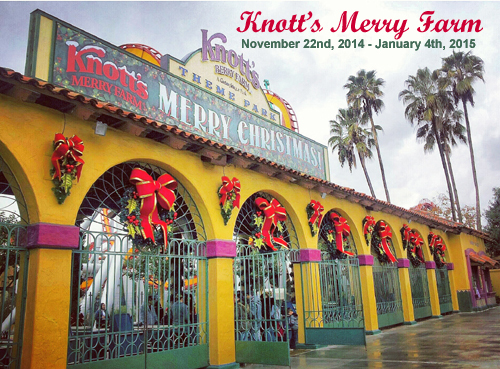 Knott’s Berry Farm’s Christmas Celebration happens November 22, 2014 – January 4, 2015. We’re really looking forward to visiting, especially to see Santa in his Christmas Cabin, and ride the festive steam train! Perhaps we’ll see you there! No financial compensation was received for this post. 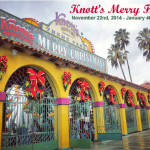 We’ve been invited to experience Knott’s Berry Farm’s Christmas Celebration for the purpose of review. Our opinions are our own. 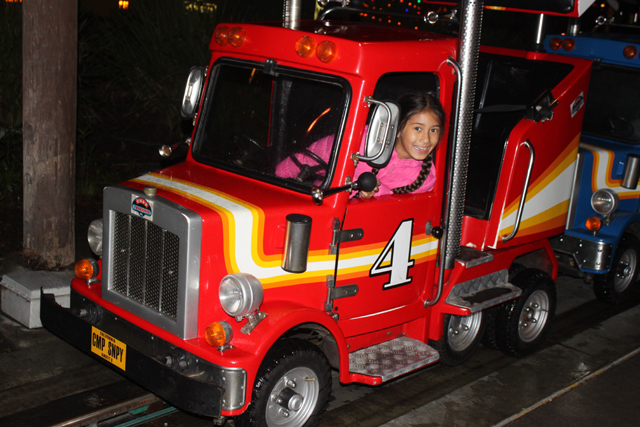 Feel The Holiday Spirit At Knott’s Merry Farm! 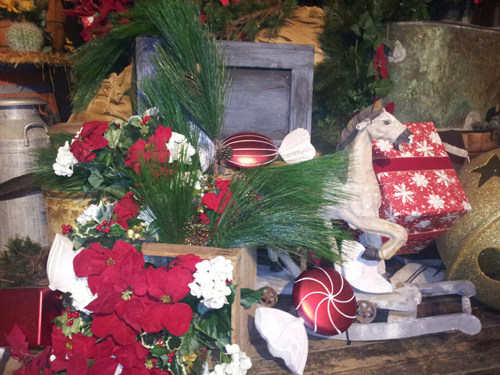 Feel The Holiday Spirit At Merry Farm! 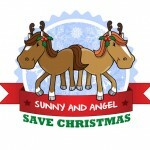 Merry Farm Includes Shows, Santa, & More! This holiday ice skating show is spectacular! The kids, my husband, and I were all impressed by the performance last year. The skaters were incredible, and just as good as those you’d see in a professional ice skating performance at a large ice arena. We highly recommend you check it out while at the Park. Stop by Santa’s Christmas Cabin, featuring photo opportunities with the jolly big guy himself, a treat at Santa’s Sundae bar, plus Wine and Craft Beer tasting opportunities for the adults. 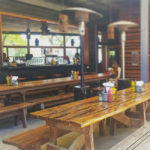 My husband sampled some of the wine and craft beer selections last year, and was very impressed! 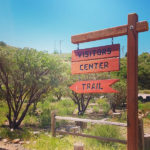 Within Ghost Town you’ll find the strolling Calico Carolers, dozens of artisans selling unique treasures, and beautiful Victorian decor. It’s fun to stop and listen to the carolers. If you enjoy live theatre, or want to introduce your kids to it, head over to the Bird Cage Theatre to see a live performance of Charges Dickens’ “A Christmas Carol”, or O’Henry’s “A Gift of Magi”, which each run approximately 25 minutes in length. 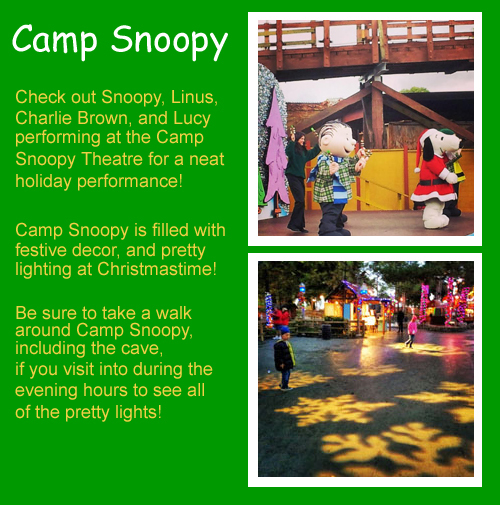 Be sure to walk through Camp Snoopy after dark to experience hundreds of thousands of twinkling lights set to a festive holiday soundtrack. This really got me in the festive spirit last year! We spent a few hours here riding the rides and enjoying the ambiance. 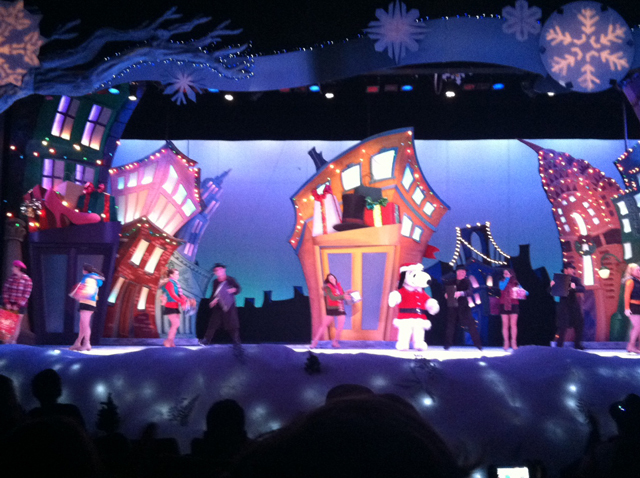 Catch some of your favorite Peanuts characters perform on a wintery wonderland stage at Camp Snoopy Theatre! This is a lively outdoor production. Our kids always enjoy catching the shows here. 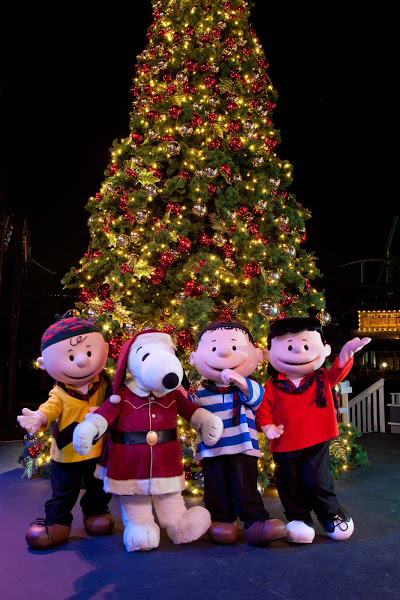 Join Snoopy in a fun-filled nightly Christmas Tree Lighting. If you miss the show, be sure to at least check out the beautiful 45′ tree once it’s lit. It’s beautiful, and another great spot for snapping some nice family photos. Other highlights of Merry Farm include the Calico Saloon Christmas Show, the Ghost Town Miners Show at the Spurs Stage, and Christmas Aboard Engine 41, at the Calico Steam Train. 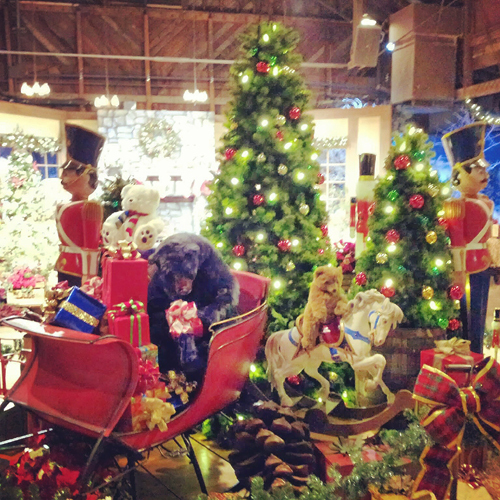 We also love strolling through the shops decorated in beautiful holiday decor. 2014 Season Passes Include 1 Visit In 2013! 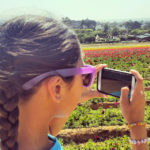 A great way to experience not only Merry Farm, but other fun seasonal experiences such as Knott’s Berry Bloom and Camp Spooky is with a Season Pass. Knott’s 2014 Season Passes start at just $78 online, with NO blackout dates. 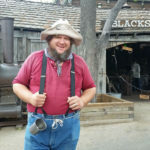 They also include one FREE visit to Knott’s in 2013, which may be used to experience Merry Farm. This is an awesome deal, and could make a great holiday gift. You can find more info about Merry Farm (which starts November 28th, 2013), and Season Passes HERE. Perhaps we’ll see you there! Disclosure: We were invited to a media event at Knott’s to experience Merry Farm ourselves. Our opinions are our own. This post was written on behalf of GigaSavvy. 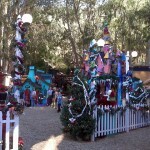 Winter Fantasy at the Sawdust Brings Joy To The Season! 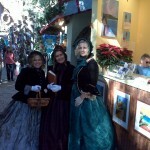 One our favorite holiday events in the OC is Winter Fantasy at the Sawdust Art & Craft Festival. 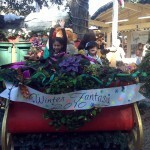 It’s a super fun, family-friendly event, held in the canyon area of Laguna Beach. 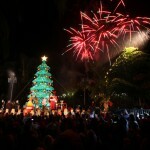 The festival runs weekends, until December 9, 2012. Here you’ll find Santa, ready for visits, a festive environment, and more. 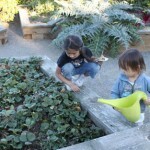 They have art projects for kids for a very small fee, classes, and free entertainment. 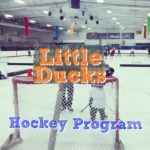 Our kids love coming here! The festival is held in a eucalyptus grove, and consists of many different artists, displaying (and making) art of many different mediums. The setting is very unique, and the best way to describe it is that it is truly majestic. Each artist designs his/her own booth, and some are true art forms of their own. There’s a stream, a neat deck, and a very cool working water wheel. Be sure to bring your camera! The Festival is working with Toys For Tots again this year, and is offering FREE admission on Sundays (11/18/12, 11/25/12, 12/2/12, & 12/9/12) when you bring a new, unwrapped toy for a child (newborn to age 17). One admission per toy donated per person per day. 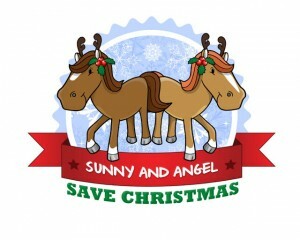 This is a great way to go to the Festival, and help a child who may otherwise not receive a gift for the holidays. Click HERE, and go to the Special Events tab for more info. Aside from the great offered for sale, they also sell food and beverages onsite. Check out our images from Winter Fantasy below. It’s a fun place to get into the holiday spirit. Perhaps we’ll see you there! 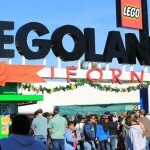 Tony Hawk To Light LEGO® Christmas Tree at LEGOLAND® CA! LEGOLAND® California is proud to announce local skateboarding legend Tony Hawk as this year’s special guest to light the world’s largest LEGO® Christmas tree at the family theme park’s ninth annual Tree Lighting Ceremony honoring the Tony Hawk Foundation. 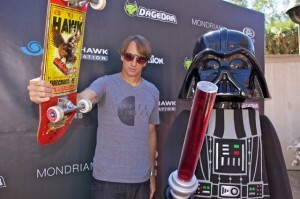 Hawk, father of four and life-long Ambassador Pass Member to LEGOLAND, launched the Tony Hawk Foundation in 2002 with the goal to increase the number of safe, legal skate parks for youth in low-income communities across the U.S. To date, the Tony Hawk Foundation has helped fund 493 public skateboard parks in these communities, which now service 3.5-million youth annually. 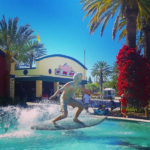 In honor of Hawk’s efforts to help youth nationwide, Master Model Builders at LEGOLAND California are adding new ornaments to the LEGO tree this year: 50 blue, red and yellow skateboards, each made of more than 250 LEGO bricks, will hang from the LEGOLAND California tree. 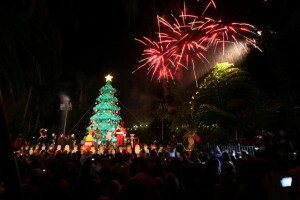 After the 30-foot-tall LEGO tree is lit, fireworks light up the sky and snow showers Park guests from above kicking off LEGOLAND California’s month-long Holiday Snow Days presented by Western Dental. During Holiday Snow Days, Fun Town will be transformed into a magical, winter wonderland where the weather forecast calls for real snow every day and guests can build snowmen using LEGO carrots and other fun LEGO elements, throw snowballs at LEGO themed targets and play with large, soft LEGO bricks in the snow. Holiday Snow Days runs Nov. 19 – Jan. 2. DETAILS: Tony Hawk and his children helping Santa pull the switch that lights the world’s largest LEGO Christmas tree; a special check presentation to the Tony Hawk Foundation; a performance from Jingle Jammers plus snow and fireworks bursting into the sky above Fun Town. More than 245,000 forest green DUPLO® bricks click together to create this one-of-a-kind holiday tree at LEGOLAND California. Adorned with nearly 400 LEGO ornaments including colorful bulbs and 1,000 lights, this LEGO brick tree towers over Fun Town in the 128-acre family theme park in Carlsbad. The Tony Hawk Foundation seeks to foster lasting improvements in society, with an emphasis on supporting and empowering youth. Through special events, grants, and technical assistance, the Foundation supports recreational programs with a focus on the creation of public skateboard parks in low-income communities. 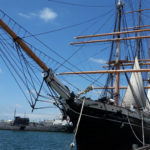 The Foundation favors programs that clearly demonstrate that funds received will produce tangible, ongoing, positive results. 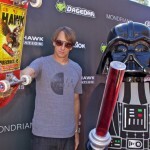 Images of LEGO® Tree & Tony Hawk courtesy of LEGOLAND® California.